Prime location commercial lot at intersection of Madison Avenue and Foxwood in Raymore, MO. The curbs, sewer line, and street are complete. This is perfect for a restaurant, office building, or multi-family development. This is one of ten parcels for sale in the immediate area. 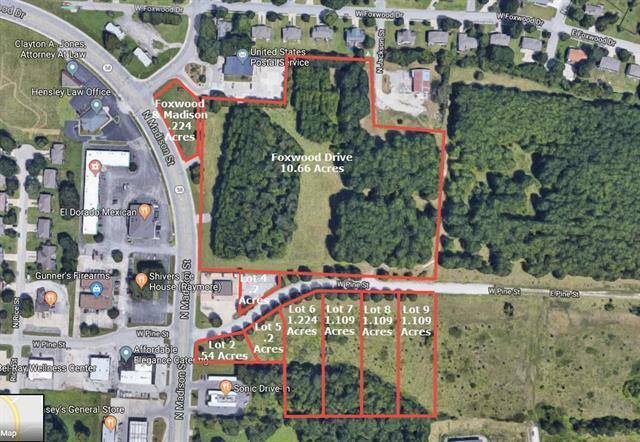 Lots 2, 4-9, a 10+ acreage to the north, a parcel at Foxwood and Madison, and 255 Madison Avenue. Go and Show. No appointment needed. Motivated seller wants your offer.